Gor Mahia CEO Ludovick Aduda has stated his displeasure at the proposed holiday to Brazil paid for by the president. “The move is ill-advised as clubs were not consulted,” Aduda said on to the Nation. This comes after AFC Leopards categorically stated that they will not release their players. 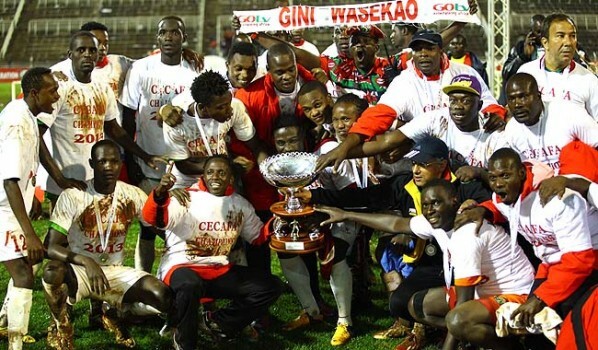 Leopards secretary general George Aladwa last week said his club will not release its players to attend the World Cup as they “have important fixtures” to honour. “The President does not employ these players, they are employed by clubs. Kenya is not competing in the World Cup and so clubs are not obliged to release player,” Aduda further stated. “This haphazard approach of doing things should end. We understand the players have been sponsored for the trip, but is KPL going to postpone fixtures?” wondered Aduda. When contacted, FKF CEO Jack Oguda stated that whether clubs release players is up to them. The decision to send players to Brazil has received mixed reactions from the Kenyan public. Football fans have indicated that the trip would be of no benefit to the stars as claimed by the president.Fans especially expressed indignation that the Kenya U17 team that was due to play South Sudan was recently withdrawn from qualifiers. However many in the general public have expressed support for the trip including none other than FKF technical director Jacob Mulee. “This will inspire the boys to perform in our qualifier in July and its a dream come true for the players to go and watch the World Cup in Brazil,” Mulee stated. release the players this is everyone’s dream,the president may have been populist but i still think kogalo should release the players. at times you let things be don’t be too rigid. To me consultations work better than threats and ultimatums. Again socially its good for the players, we should understand that dreams are part of life and having Kenyan players going on somehow relevant trip like Brazil World cup is very good. Could our clubs and KPL kindly discuss issues rather than getting ourselves in stand offs? Honestly having a Kenyan player attending a world cup match is un imaginable leave alone going on a holiday abroad. Why release the players in the middle of the league? Unless KPL postpone the matches? Now Nyamweya demands an apology for these remarks. I also wish Nyamweya could apologise to the U17 and their parents for the what happened. This is a stupid move, players can be inspired even by watching games at home on tv, pure misuse of funds and back to front priorities! That money could have been invested in sending the national team for a training camp in Europe or organise proper build-up games! Silly and cheap vote hunting, clubs don’t release your employees to go on vacation!